Gajapati District has been named after Maharaja Sri Krushna Chandra Gajapati Narayan Deo, the Ex–Raja Sahib of Paralakhemundi estate (the 1st Prime Minister of Odisha State), who is remembered for his contribution in formation of a separate Odisha province and inclusion of Paralakhemundi estate in Odisha. 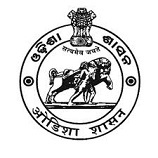 It got a District status on 2nd October 1992 after bifurcated from Ganjam District. It was Parlakhemundi sub-division in Ganjam and yet it is only sub-division in Gajapati. There are 7 Tahasils, 7 Blocks, 1,534 Villages, 149 Gram Panchayats and 11 Police stations. Covering an area of 3850 sq km, Gajapati District lies between 18°.6’ to 19°.39’ North Latitude and 83°.48’ to 84°.08’ East Longitude. Climatic condition in the Gajapati District varies between 16 degree to 40 degree Celsius and the normal rainfall received is 1403.30 mm.The District is surrounded by Andhra Pardesh in its South, Ganjam District in its East, Rayagada in its West and Kandhamal in its North. The soil and climate is suitable for plantation of crops and there is a great potential of horticulture development in the District. More than 60 percent of lands are situated in hilly terrain and high lands. Those are mainly suitable for horticulture. Other cultivable land are coming under medium lands (20 percent) and low lands (15 percent) category. Total population of the Gajapati District (2011 census) was 5,77,817 comprising total 2,82,882 male population and 2,94,935 female population. Total SC population of the District is 39,175 and total ST population of the District is 3,13,714. Gajapati District gains a large amount of its revenue through the agricultural sector. Also agro–processing and horticulture industries add to the economic wealth of this region. Economy of Gajapati District is agrarian in character. Except a few agro–processing units, there is no major industry in the District. However, some activities of cottage industries like Horn work, Jaikhadi bag, Cane and bamboo work, Ganjappa card and Pattachitra mukha, Broom work and Siali leaf plate making and Tibetan Woolen Carpet contribute to the economy of the District. Jagannatha Narayana Deo (freedom fighter), Apanna Parichha (freedom fighter), Pandit Jugal Kishore Panigrahy (freedom fighter), Kabiraj Hari Krushna Purohit (poet), Madhu Tripathy (poet), Lalit Kumar Adhikari (body builder), Krushna Srichandan (poet/ dramatist), Hari Krushna Maharana (artist/painter), Chaitanya Rajaguru (poet/ astrologer), Nilamani Panigrahy (astrologer), Gourachandra Gajapati Narayan Deo (royal member) and Sri Krushna Chandra Gajapati Narayan Deo (royal member) are famous personalities born in Gajapati District. SKCG College, Women’s College, Centurion University, and Kendriya Vidyalaya are some of the major educational institutions of the District. There are some noteworthy NGO-run residential schools viz. Mahendratanaya Ashram School, Koinpur. Gajapati District experiences many fairs and festivals round the year. Ratha Yatra, Dusherra, Kumar Purnima, Thakurani Yatra, Pongal are the famous festivals celebrated here with much pomp and gaiety.